– Home buyers can select from a range of options including appliances, light fixtures, floors, paint colors, etc. – Energy efficient appliances, energy star rated windows, water saver toilets & shower heads, and LED lighting. – Granite counter tops and cultured marble vanities; tile, laminate, or carpet flooring. 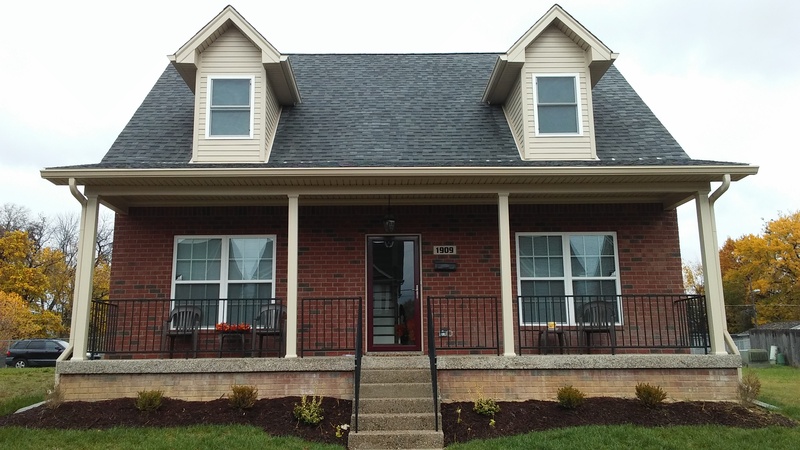 – Exteriors can be dressed with brick siding, hardie plank, or a mixture of the two. – Lots range in size from 40 ft. x 60 ft. to 40 ft. x 100 ft. and homes vary from 1,100 square feet to 1,600 square feet. This is an exciting opportunity to move into a neighborhood rich with history and has wonderful housing stock. Louisville Metro Government is placing a priority in incentivizing homeownership in an effort to further stabilize the Russell neighborhoods. Exciting things are happening in the neighborhoods and we are looking forward to you being a part of it! Incentives are being offered for individuals and families looking to move into the homeownership incentive area. If you meet the following criteria, this program is for you! Interested in being a homeowner and residing in the Russell Homeownership Incentive Area (see maps below). Committed to keeping the home as your primary residence for five years. Excited about making up to $24,999 in qualified improvements to your home. Participants must be approved prior to repairs being made and any cost over $24,999 will be the responsibility of the homeowner and paid in full prior to Louisville Metro Government paying the remaining cost. Willing to complete homeownership counseling, if a first-time homebuyer. Willing to conduct a lead inspection on the property if it was built prior to 1978. We can help provide contact information of qualified companies. Louisville Metro Government is committed to creating an easy process for you to participate in the program. We are always available for questions or to help you through the process. Please know that we will move forward as quickly as possible on the processing of applications. We expect this process to take approximately eight weeks from bank closing to completion of the work on your new home, but there are many variables in the homeownership process that we do not control which can prolong the progression of your case. We are committed to continued communication with you as we move through this process together and you will always know where you stand with us. Please ensure that your realtor is aware that you are applying for SPRHIP funding and that your sales contract will accommodate this timeframe. To apply, please read and fill out all documentation below. These forms can be filled out and submitted online. These forms should be printed, filled out and provided to the Housing Rehab Specialist when you meet with them. Do you want to purchase a house to fix up and live in? Do you want to restore homes and put them on the market? Do you want to take ownership of and maintain a vacant lot on your block? Louisville Metro Government is looking for residents who want to improve their neighborhoods. 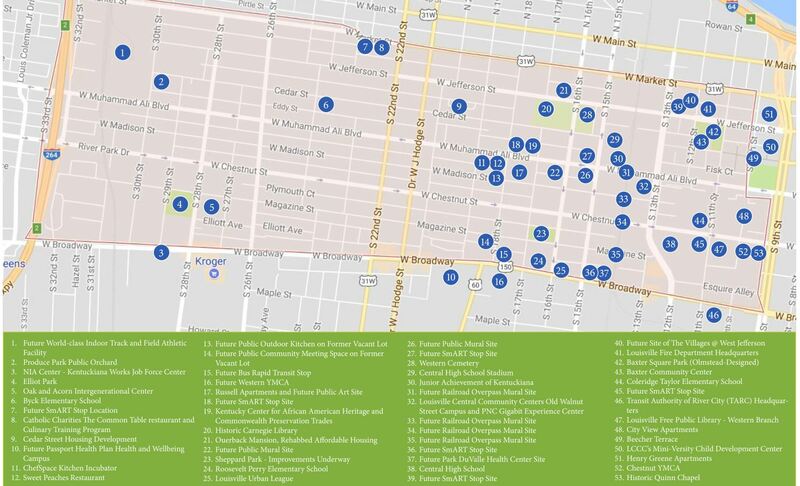 Currently, the Landbank owns roughly 400 properties and strives to put them back into productive use to improve our neighborhoods by increasing property values, stimulate the tax base, and reducing crime rates. What is the Landbank? The Landbank Authority, a cooperative effort by the major taxing authorities in Louisville Metro (city of Louisville, commonwealth of Kentucky and Jefferson County Public Schools). Its mission is to put vacant and abandoned properties back into productive use through concerned residents like you. To learn more about our programs and to purchase a Landbank Authority-owned vacant property, click on the link below for either lots or structures. If a vacant property is not owned by Metro, Louisville Metro is unable to force a change in ownership, unless the property has significant Building & Housing liens or delinquent taxes. Then, Louisville Metro may facilitate acquisition by initiating a foreclosure action. If you would like to report a vacant property, please call 311, and a Code Enforcement inspector will visit the property. For more information, please visit https://louisvilleky.gov/government/vacant-public-property-administration or call (502) 574-4016.